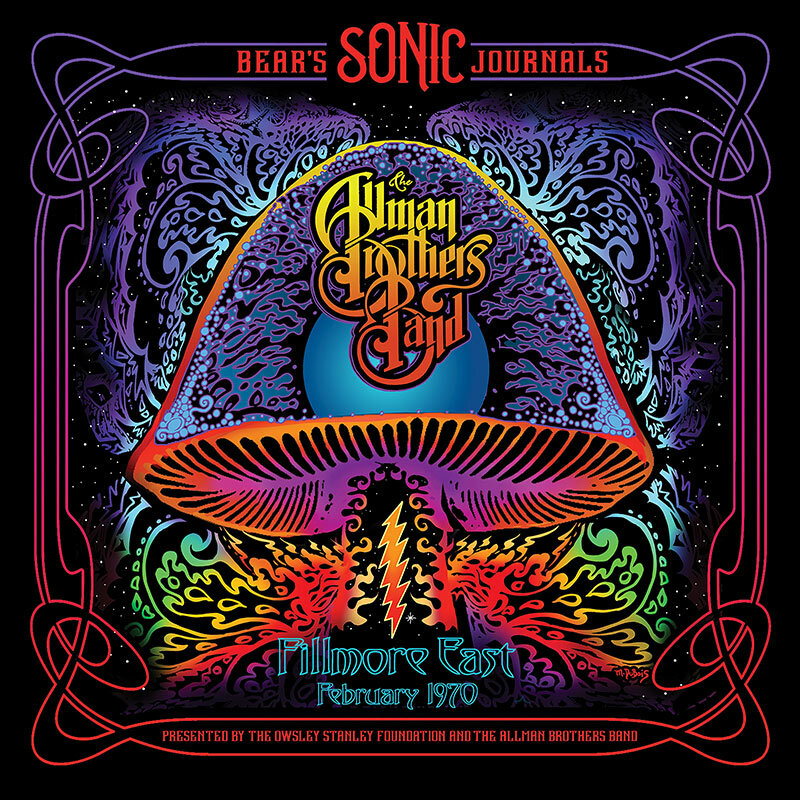 If you had a chance to see The Allman Brothers Band in 1970 opening for the Grateful Dead, chances are your memory of the show might be a little cloudy to say the least. Playing three nights at the legendary Fillmore East in New York City in February of 1970 the ABB had only been together 11 months. Thankfully the Dead’s soundman Owsley “Bear” Stanley had recorded the young band’s sets. The Allman Brothers Band, Fillmore East, February 1970 features the first known recording of Dickey Bett’s masterpiece “In Memory of Elizabeth Reed”. The shows’ tapes were transferred and restored to audiophile standards, utilizing state-of-the-art Plangent Processes techniques to remove subtle timing distortions created by the recording and playback devices. The band is introduced, “And now for some southern comfort, the Allman Brothers”, and right into the beautiful twin-bends of “Elizabeth Read”. “Listen to that sweet bass player” on intro to Hoochie Coochie Man man as the band tears into the Muddy Waters masterpiece. The set front to back is just packed with songs that would be staples of the band’s liver performances right up to the end. With the final notes of “Mountain Jam” you are left with a sense of history with this unearthed performance of one of the United States of America’s greatest recording bands. The mastering was done by Jeffrey Norman (Mockingbird Mastering), long-time collaborator with the Grateful Dead and Owsley Stanley. Available August 10th here. July 24: Pre-release CDs will ship if purchased here. July 27: high-resolution digital downloads of all source tapes will be available here.